Our Earth is full of undeniable beauty and indispensable information. It is within the natural harmony of the Earth that we must find ways to build a more peaceful, loving, wholesome self. Everyday we find ourselves in aw of the most raw natural elements of our beautiful living earth. From this we decided to share and spread our love of the natural world! We are very blessed to have the opportunity to travel & collect fossils, minerals, & crystals from all over the world to share with you.. & to have created our own line of small batch high quality organic herbal teas, soaps, salves & apothecary goods! We share a deep connection with Mother Earth and all her many beautiful beings. We live for the sunshine and moonlight! 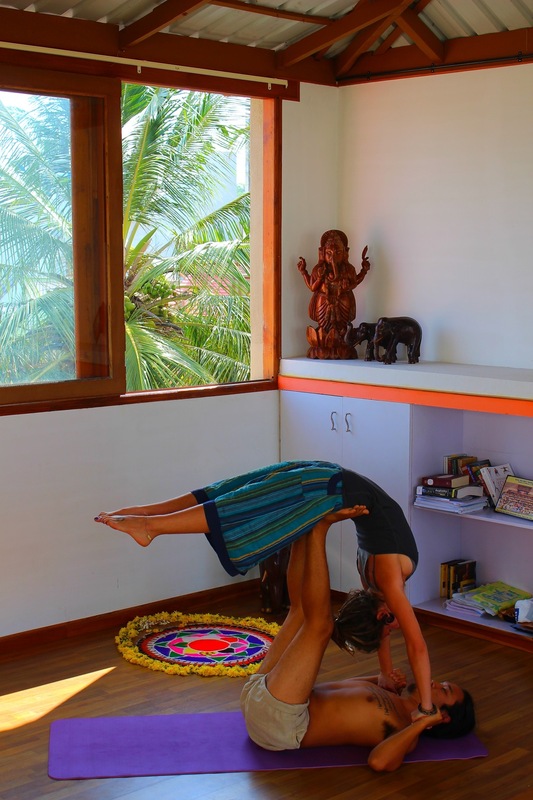 We are Hatha Yoga teachers & parents and try to live our lives in practice of all the eight limbs of Yog. We love the great outdoors, stretching our bodies, deepening our minds, travels & adventures! We live the mountain life on the Schunnemunk Mountain Upstate, NY but can be found in the best popup markets NYC has to offer during the spring-fall, the Columbus circle Holiday Market during the Holidays and on the West Coast during the winter and in between that were wandering the world for the best crystals and adventures! Check out or upcoming events for more details! I am soooo proud of both of you. love, Love, LOVE the new deodorant! 😉 And my fossils rock too! It has been a pleasure interacting with you at the Columbus Circle Holiday Market…thank you so much for all of our new mineral heart additions – they mean so much to us. 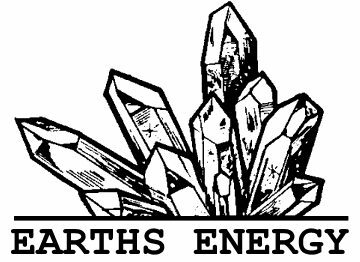 Ingrid Wagner and me were introduced to your wonderful earth’s energy products last year at the fair on Columbus Ave and 79th st.
Hope all is well with you as we hope to revisit with you at your store again. 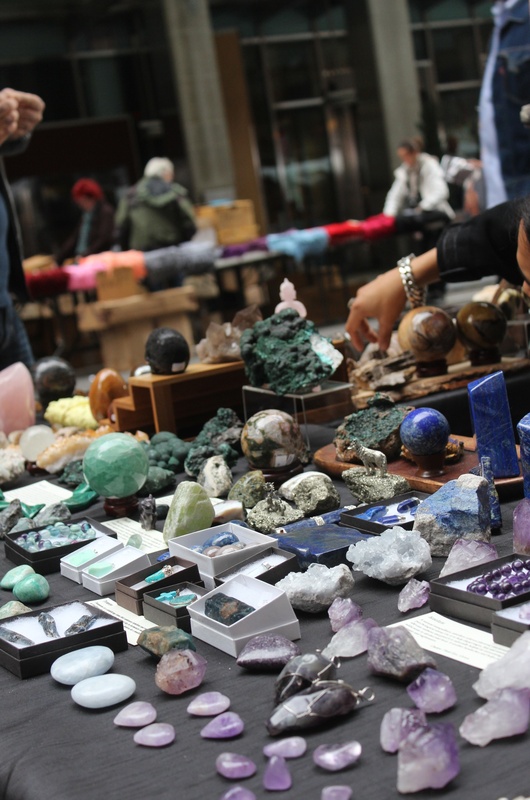 I enjoyed browsing your varied display of quality minerals, crystals and fossils at the Broadway Market in the city. I love the Rainbow Fluorite I bought! Will look for you again during the Holiday Market at Columbus Circle. Those are certainly some of our favorites! It was so nice meeting you we hope to see you again soon! Let us know if there is anything you are ever looking for! Hello Rebecca, Lobsang & family, Wishing you all well & happy this summer! I haven’t seen you since the Holiday fair. I have a friend I’d like to bring to your next street fair. Do you have anything planned in August or September? Please let me know. Its the more rough citrine correct? If so its from the Katanga Copper Crescent in the Democratic Republic of the Congo. Please send us pictures, Im so sorry those weren’t properly identified for you!